يقع Crowne Plaza Perth في أقصى شرق بيرث ويوفر أماكن إقامة مطلة على نهر سوان وعلى بعد مسافة قصيرة سيراً على الأقدام من لانغلي بارك الرائع، ويمكن للضيوف الاستمتاع بمركز للياقة البدنية ومسبح خارجي مع تراس كبير للتشمس، وتضم معظم الغرف شرفة. يقع هذا الفندق على طريق الحافلة الذي يصل مباشرةً إلى مركز بيرث للمعارض والمؤتمرات الواقع على بعد 15 دقيقة بالسيارة، كما يقع مطار بيرث على بعد 15 دقيقة بالسيارة، ويقع بيرث سي بي دي (حي الأعمال المركزي) على بعد 5 دقائق بالسيارة. 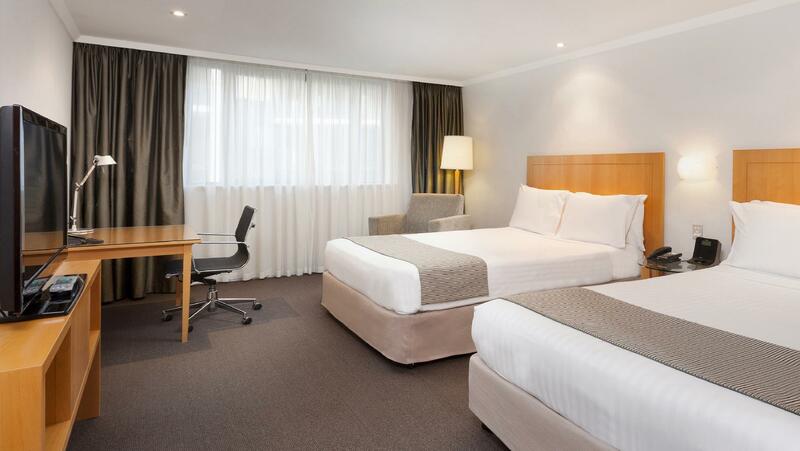 يتميز Crowne Plaza Perth بغرف ضيوف واسعة مع وسائل راحة عصرية ومفروشات أنيقة، وتتوفر مرافق غسيل الملابس وخدمة صف السيارات للضيوف. يقدم البار والمطعم الشهير المأكولات الموسمية الطازجة طوال اليوم، ويمكن للضيوف تناول الطعام في الهواء الطلق مع إطلالة على لانغلي بارك والنهر. يُرجى المُلاحظة أنه قد يتم تطبيق سياسات مختلفة وتكاليف إضافية بالنسبة للأسعار التي تشمل وجبة الإفطار للضيوف الإضافيين. يرجى ملاحظة أن هناك خصم بقيمة 1.5٪ عند الدفع ببطاقة الائتمان ورسوم بقيمة 3٪ عند الدفع مع أمريكان إكسبريس أو بطاقة الائتمان داينرز كلوب. يمكنكم طلب نوع الأسرّة المفضل في خانة الطلبات الخاصة عند الحجز، ويُرجى الملاحظة أنه لا يمكن ضمان نوع الأسرّة المفضلة، ويتم تأكيدها عند الوصول رهنًا بالتوافر. 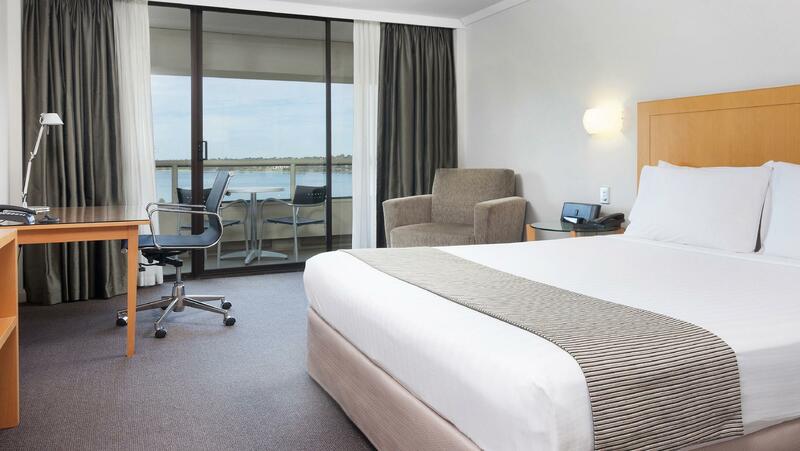 If u r looking for a room with a big balcony facing the Swan River, this is it. Room service breakfast was good. Small basic bathroom, but comfy bed n good adjustable aircon temp kept us warm at night. Will return. The staff and management were fantastic. The breakfast area was a bit disorganised, milk, juice continually running out, some eating utensils left off table so had to continually ask for them. The room was was great but sometimes the cleaning of parts of the room was overlooked. Being in the CBD, it was quite the weekend we stayed. Also good for parking at the sidewalks as it was free for the weekend and public holidays. Otherwise, hotel parking is chargeable for guests. Room was cozy with its own balcony with a great view facing...love it. Room is big but seriously need some upgrading. Overall it's satisfying. We arrived early, we are able to check in smoothly, this allowed us to start our drive to pinnicles early. Staff was attentive and able to provide infomation we needed. 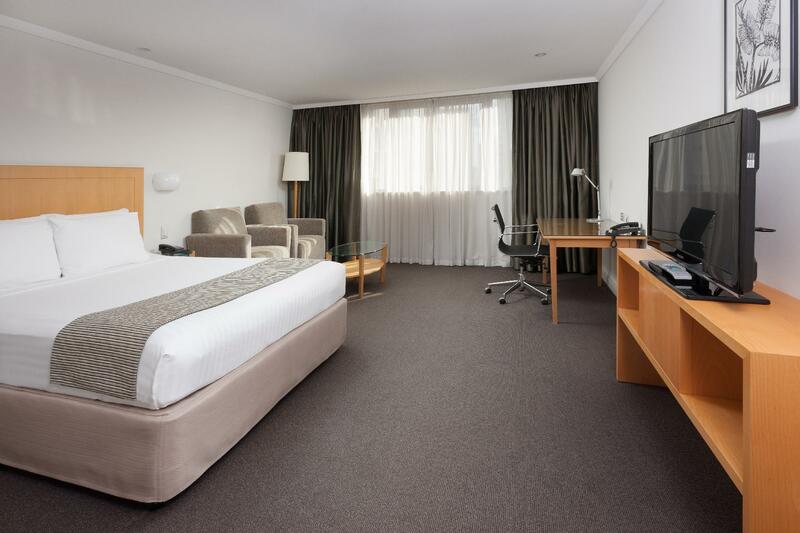 Large comfortable rooms, nice and clean in a very central location. Only con would be parking is at a hefty $34 which we considered to be very expensive. Requested a room on upper floor and information on parking at time of booking. Did not receive info on parking until we pulled up and was told $34 valet service, park on the street or the overpriced multi storey a block away. Was given a room on the third floor - had to go back to reception and request a higher floor. My girlfriends been very ill I told the girl at the front desk so. Unfortunately we were late for breakie by 5 mins and they wouldn't compromise at all. I asked if we could have a simple something even brought up to our room they were rude n wouldn't even budge with a coffee yet charged us $60 for two breakies. Also we wrote on the email before arrival and at time of check in that we required late checkout because we checked in so late. However a checkout time, if I had of not been on To it,we would have been charged additional fees !!!! although this was suppose to be all included. And the same room on line the next day was $90 cheaper!!!! There were a few other issues. Won't be staying there again and wouldn't recommend staying there to anyone!!!! They have no loylity or customer follow up appreciation. Iv stayed at the crown many times before yet treated like a Idot. Very disappointing to say the least!!!! We were beleaguered with technical issues. Got down for breakfast in plenty of time as one of us had a flight to catch &we knew how much time we had. Hadn't taken into account nothing working. Arrived at breakfast to be told it wasn't included. So had to all traipse back upstairs to our room to find the booking sheet, then back down to present it. After a few minutes of scrutiny the lady apologised and said it was a problem because we booked through a third party (Agoda) who hadn't notified them that breakfast was included. Don't know who was responsible for that. Then went back to the restaurant only to waste a substantial amount of time trying to get a coffee out of the machine. The lovely staff member thought it would be a quick fix, but couldn't get it to go, so said he'd bring one over when he got it working. So there went more precious time. Then my daughter said she having trouble with the pancake machine. So I went and had a fiddle with it. After a few minutes the staff member saw we were having trouble so he flipped the lid, had a fiddle and moved on. We still couldn't get it to work. So a bit later he walked past again and saw we were still there. He again flipped the lid and apologised for all the problems. He cursed the technology and said it had been easier before when they did things themselves and that the technology was always a problem. He finally got it working. By this time, I had only a few minutes to shove down some food, run out, scrub teeth, grab bags and rush to the airport. It was a very stressful breakfast and then a worried rush to the airport with one eye on the clock. We did make the plane, and when we got back another staff member, who must have seen how frazzled we were on our way out, asked if we were ok. She then went and got me a coffee, which was very appreciated. So, it was very stressful, but the staff were very helpful and very apologetic for all the errors/problems, which weren't actually their fault. Greeting by staff on arrival to lobby. The on site parking and valet service was a bit expensive and the only other offer of parking was street parking. Lovely location and a pleasure to stay. Room is comfortable and the staff are lovely. 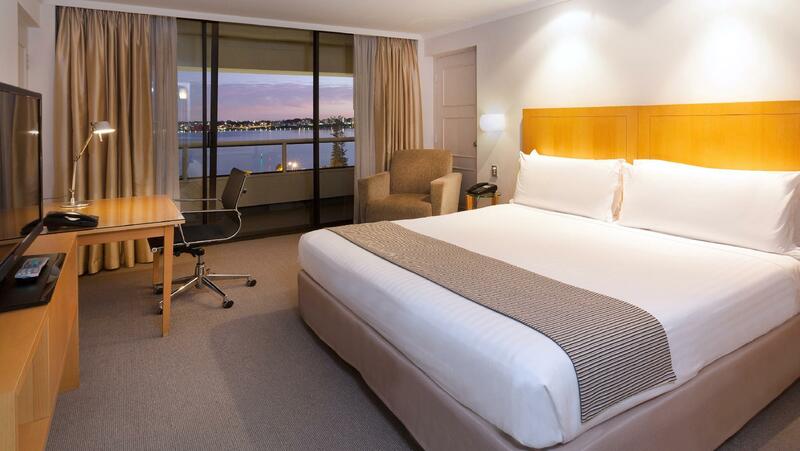 Definately one of my favourite hotels in Perth! Sitting on balcony overlooking the river is beautiful & the staff are amazing! 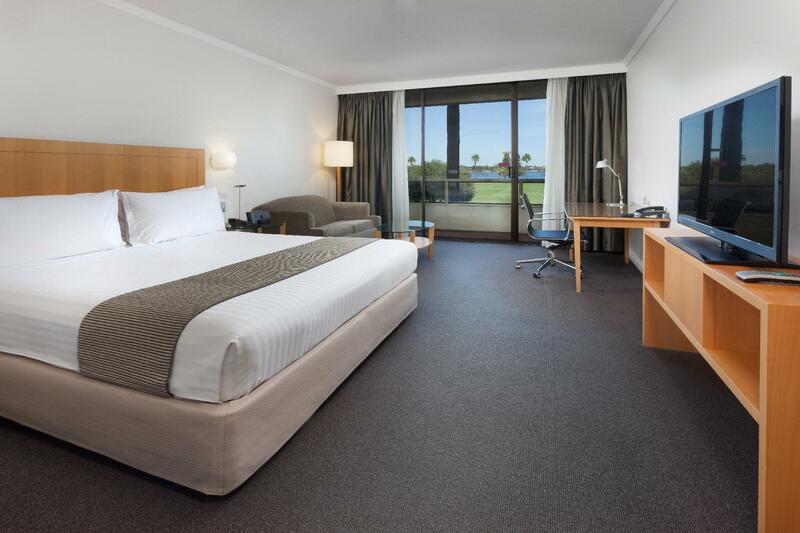 We just had a day in Perth and the Crowne Plaza was perfect. 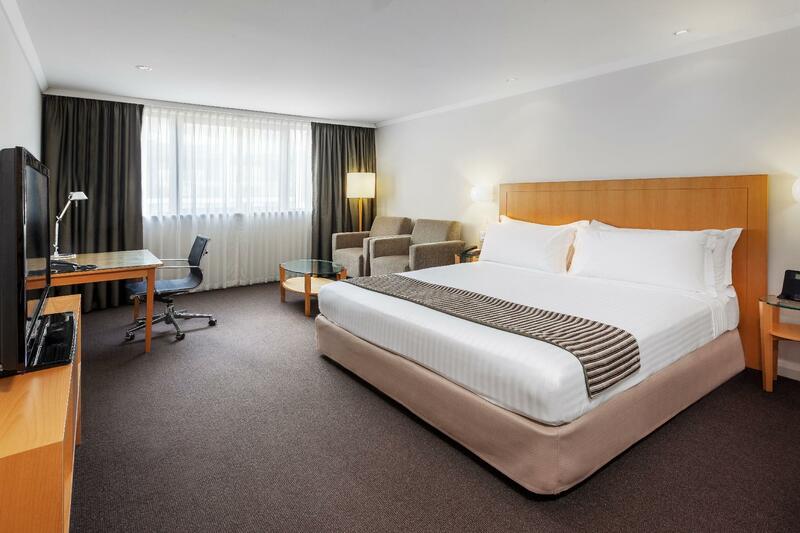 It's ideally located close to the river, welcoming staff and a lovely room. 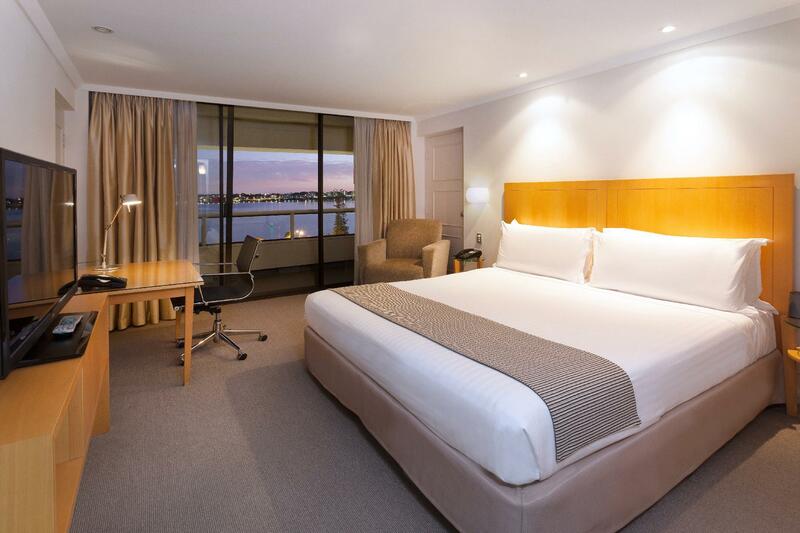 This will be our number one hotel to stay at in Perth. Couldn't fault a thing. locate almost at the heart of perth. good view of the swan river. everything is convenient. clean hotel.